NEWPORT BEACH — A request by Newport Beach Councilman Kevin Muldoon to hire a firm to audit the Tide and Submerged Land Fund, or Tidelands Fund, was tabled until a later date. The Newport Beach City Council was originally scheduled to discuss and vote on Muldoon’s request Jan. 13. Council members unanimously voted to table the item, as city staff needed more time to be prepared. Muldoon, who was one of four new members to join the Newport Beach City Council as part of “Team Newport” in November 2014, requested his colleagues begin the process of auditing the Tidelands Fund and review the revenue and expenditure types that should be considered in “look-back” financial analysis and “look-ahead” financial projection. According to city staff, the Tidelands Fund accounts for revenues and expenses associated with Newport Beach’s management of areas such as Lower Newport Bay, certain lands placed in the Tidelands Trust and ocean waters and beaches. When Muldoon’s request comes back to the council, the seven-member panel will clarify what revenues and expenses will be included in the financial analysis and projection. Council members will also determine whether the requested financial review should separate harbor and non-harbor revenues and expenses. Most importantly, the council will decide whether to solicit a request for proposals to hire a finance or law firm to audit the Tidelands Fund. The audit, if approved, would be split into two parts. Part one would be a legal analysis and determination of revenues required to be a part of the Tidelands Fund under the Beacon Bay bill and related laws. The second part of the audit would be a 10-year financial analysis – looking back five years and looking ahead five years – of the Tidelands Fund’s revenues and expenditures. 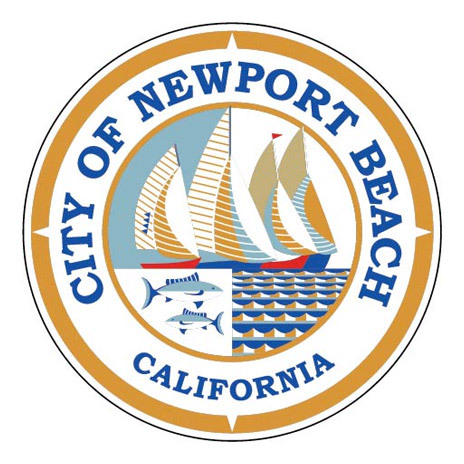 City staff estimates the budget for audit services would cost Newport Beach between $50,000 and $125,000. Some activities that occur on tidelands but are not counted as Tidelands Fund revenue under current policy include, among other line items, sportfishing charters, boats, residential piers, boatyards, fuel docks, Newport Dunes launch ramp, yachts, small boats and used vessels. Conversely, revenues such as dredging permit fees, liveaboard permit fees, mooring transfer fees and onshore and offshore moorings are applied to the Tidelands Fund. Some expenses under the Tidelands Fund include dredging Lower Newport Bay, eelgrass management, removal of derelict boats, mooring management and regulation, and inspection of docks. Tidelands are state-owned property managed and administered by local cities. In some cases, county governments help manage and administer tidelands. More information about the Tidelands Fund audit, including specific revenue and expense figures, will be covered by The Log when this item returns to the Newport Beach City Council agenda.